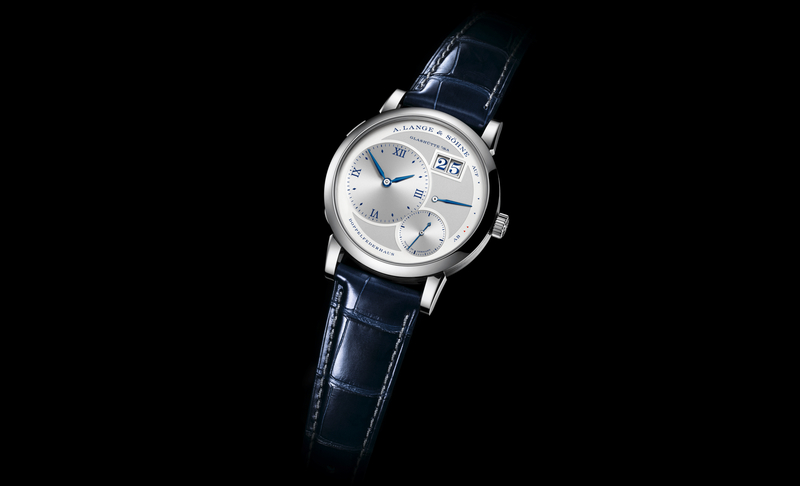 A. Lange & Sohne recently introduced a new model, the Lange Zeitwerk. 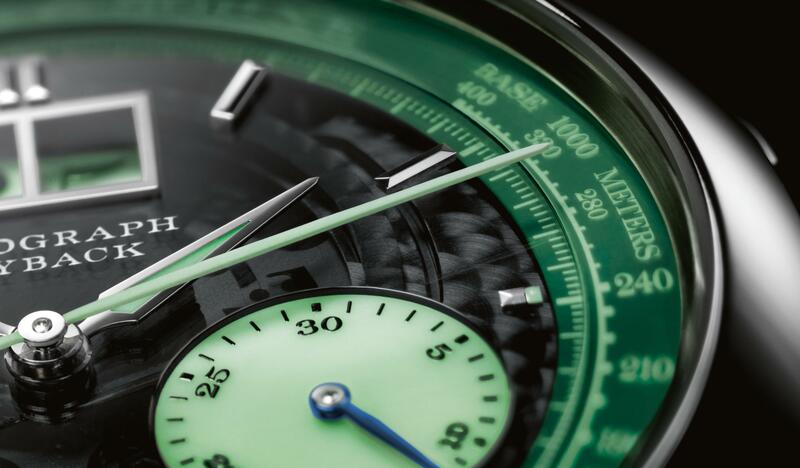 It features a jumping numerals mechanism that displays hours and minutes in a larger format – for excellent legibility. Inside is a manufacture caliber L043.1 that utilizes a constant-force escapement and a patented barrel. The Zeitwerk’s level of complication is quite remarkable. 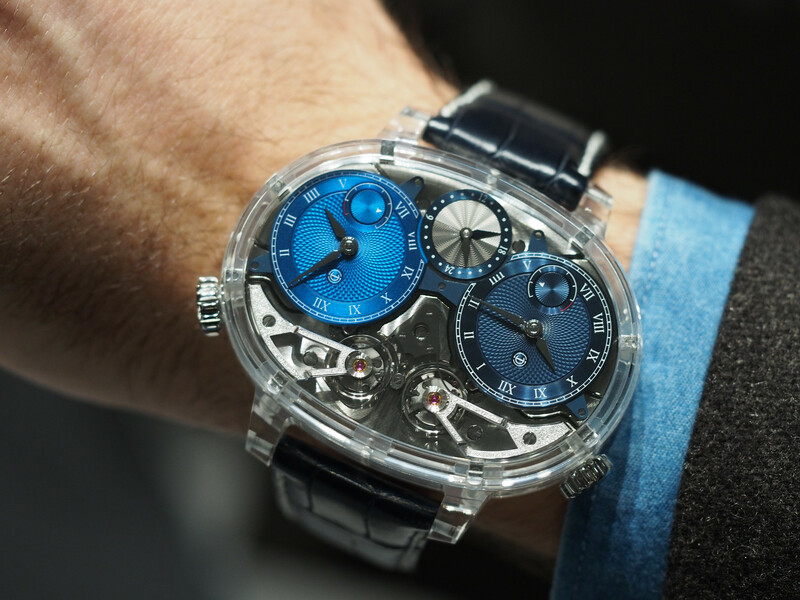 It features a patented mainspring barrel that stores up to 36-hours of power reserve (displayed at 12 o’clock). A “constant-force” escapement converts the mainspring energy equally to power the analog seconds subdial (at 6 o’clock), as well as the mechanical-digital jumping hours (at 9 o’clock) and minutes (at 3 o’clock). The jumping numerals disc design is so precise, that the switching action actually allows an attentive listener to acoustically distinguish between a single minute advance (1416 times a day) and a collective progression at the full hour (24 times day). This allows you to hear the time, similar to a minute repeater.